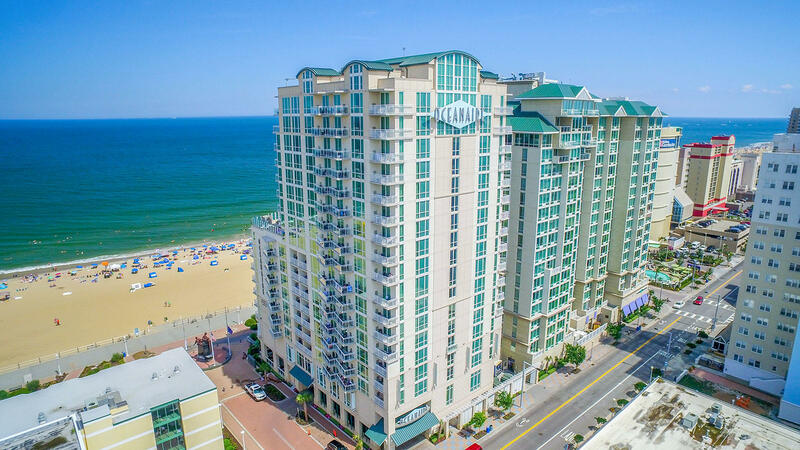 Oceanaire Resort, a standout choice among beachfront hotels in Virginia Beach, is home to the most comfortable and modern accommodations on the boardwalk. 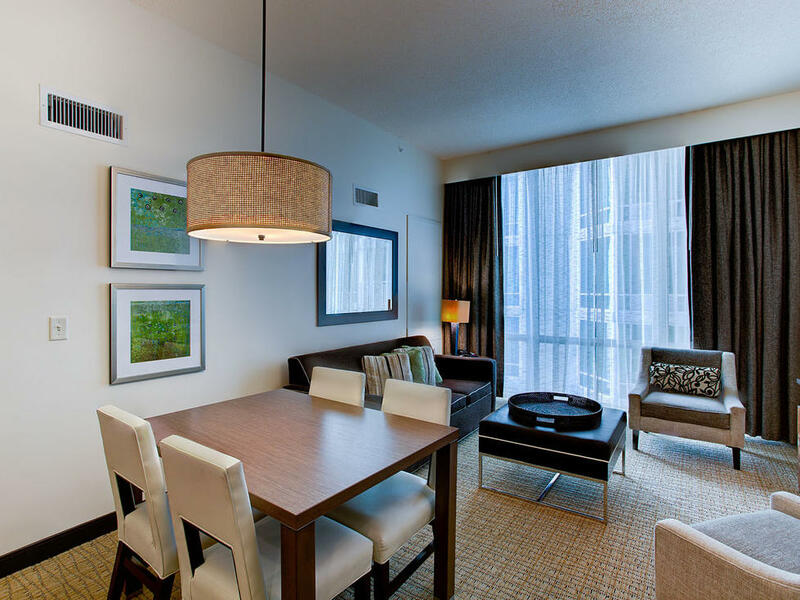 Our wide range of room layouts – ocean suites and studio floor plans – allow you to tailor your stay to meet your needs. 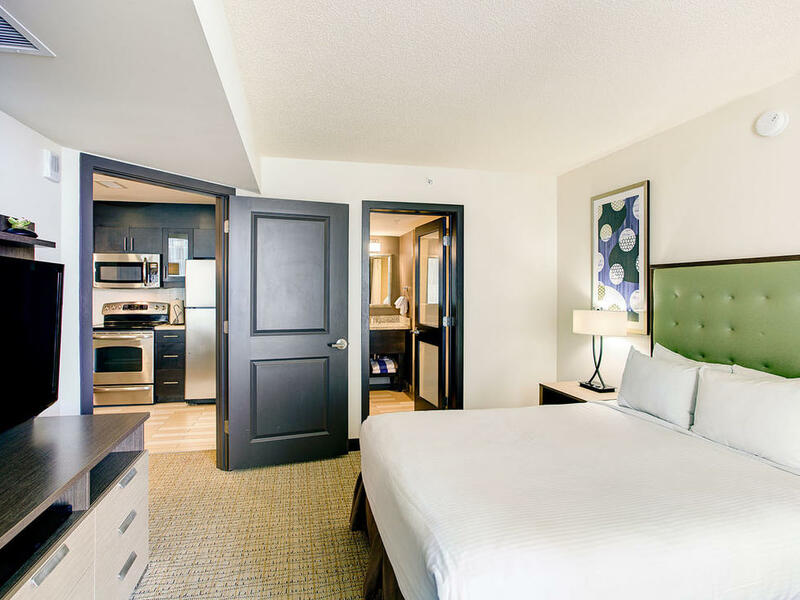 Each of our rooms includes either a stunning ocean sunrise or partial ocean view, a full kitchen or kitchenette, along with plush bedding and linens, and upscale bathrooms. Come stay at one of the top resorts in Virginia Beach. This beautiful studio room features two double beds, luxurious bedding and a private ocean-view balcony. Boasting an oceanfront location, this beautiful studio room features two double beds, luxurious bedding and a private ocean-view balcony. 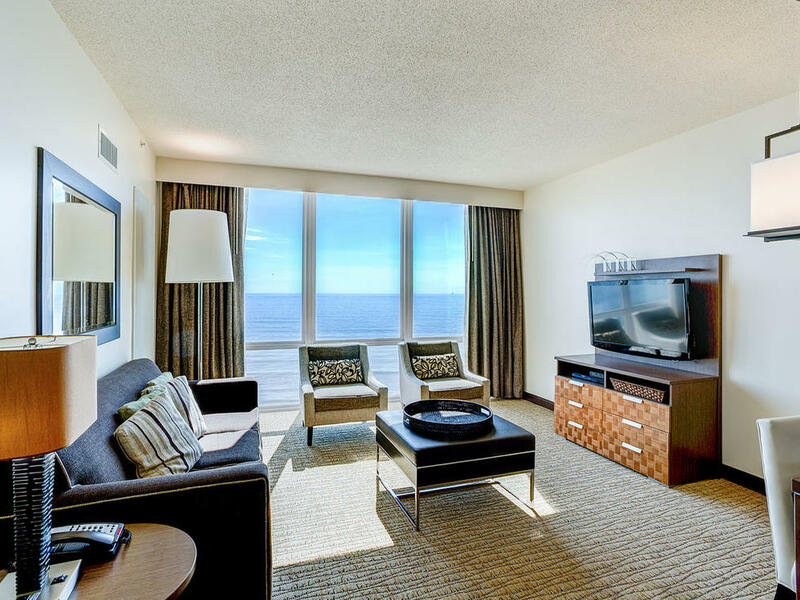 Our beautiful one-bedroom suite ocean view is appointed with a queen bed, luxurious bedding and a private ocean-view balcony. 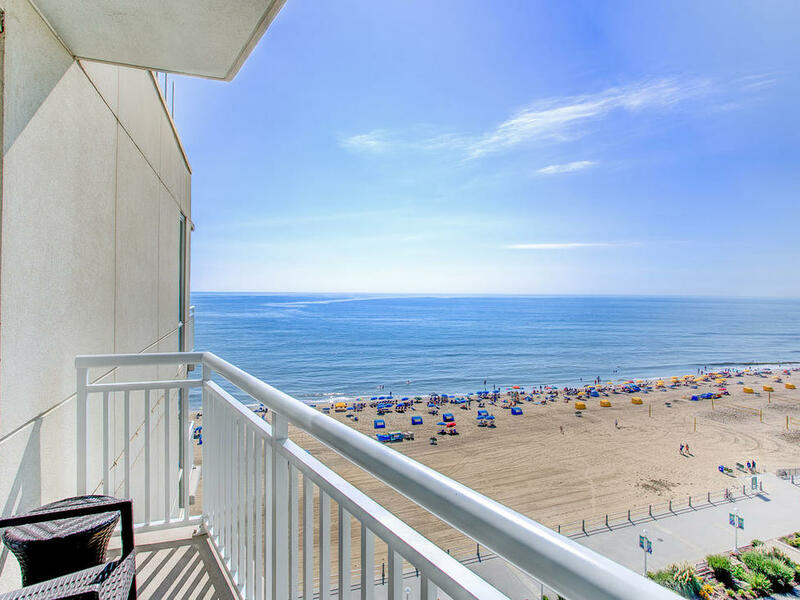 Located on the oceanfront, this beautiful one-bedroom suite is appointed with a queen bed, luxurious bedding and a private ocean-view balcony. 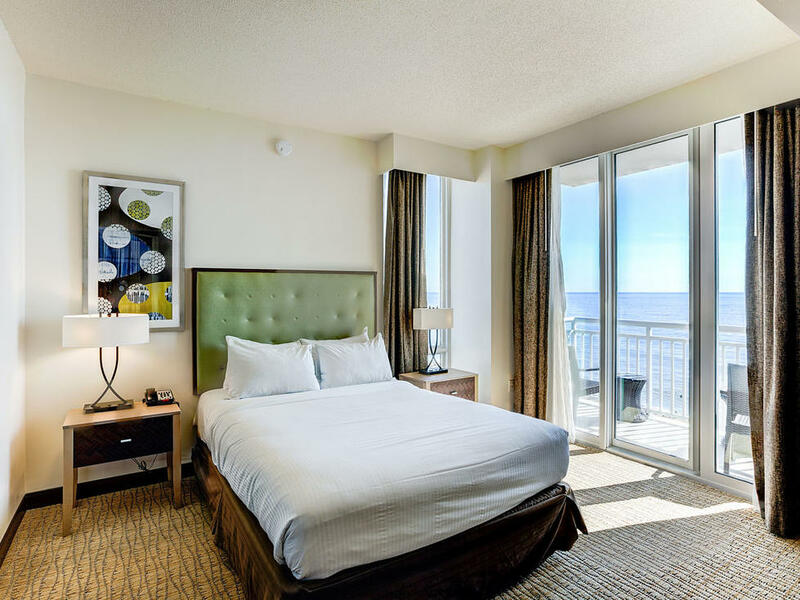 This beautiful two-bedroom suite features a queen bed and two double beds, luxurious bedding and a private ocean view balcony. 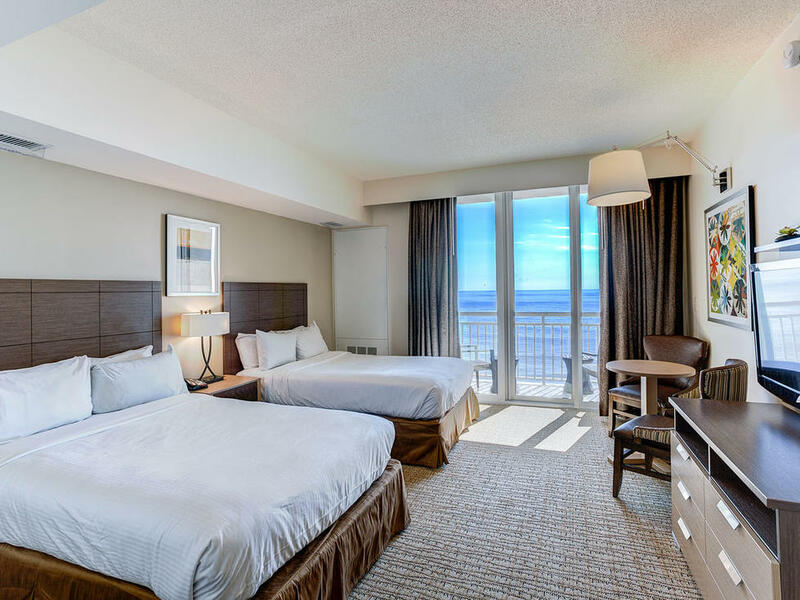 Boasting an oceanfront setting, this beautiful two-bedroom suite features a queen bed and two double beds, luxurious bedding and a private oceanfront balcony.